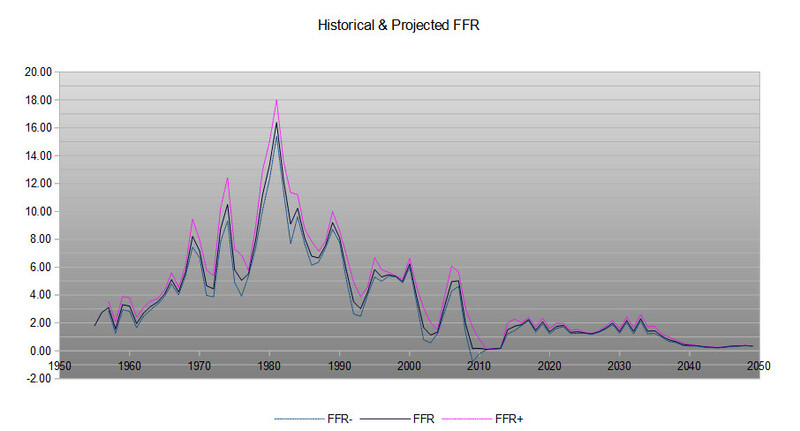 The reason our model expected this decrease in the FFR near current time is because the balance between growth of asset values, credit expansion and consumer's ability to navigate efficiently within these constructs becomes very constrained above 2%. In other words, as soon as the US Fed raising rates above 2%, they risk blowing holes in the economic recovery simply because it will outpace consumers ability to borrow and repay in an efficient manner. We urge you to understand the longer-term perspective of the markets and to understand true price theory as it relates to actual price highs and lows. Right now, all indications are that we have entered a deeper price correction that has initiated an intermediate term bearish trend. As of the close of Wednesday, Oct 24, price has breached recent critical price lows that has initiated this new intermediate bearish price trend. If price can't recover above these levels before the end of this week, then we will have a confirmed intermediate bearish price trend. Yet, the ultimate low from February 2018 is still active as key support and a key price level that would need to be breached before we could call this a “new bear market trend”. Right now this is just a price correction – yes, a DEEP price correction. Those February 2018 lows are the ultimate test for a new bearish trend to setup. This Weekly ES chart, below, helps to put everything into perspective in terms of what we are actually seeing transpire in the markets. If you have been following our analysis, we've called for the markets to move lower heading into a November 8~12 ultimate price bottom before turning around and heading much higher throughout the end of this year and early into 2019. 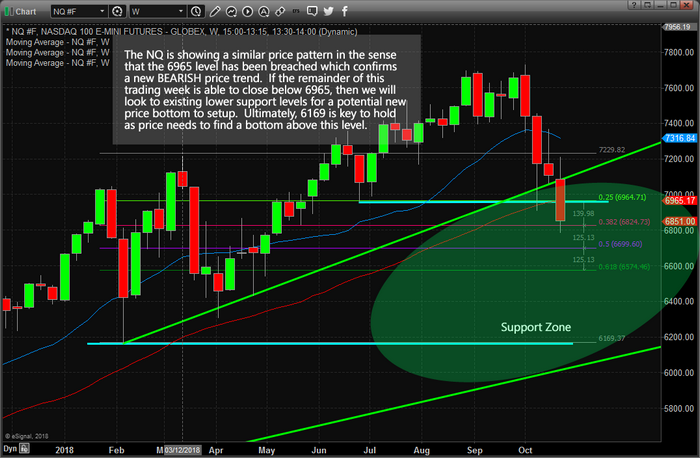 The GREEN support zone is part of our key analysis that support our belief that this is nothing more than a very deep “washout low” price rotation happening right now. The WHITE line on this chart shows the key price lows that are currently at risk in traditional price theory rotation. A breach of that White line by the end of this week would indicate that we could see much further downside price movement – possibly to test the lower Support Zone level. Beyond this analysis, the ultimate price low that is holding us back from calling this a “new bearish trend” is that February 2018 price low near 2529.75. 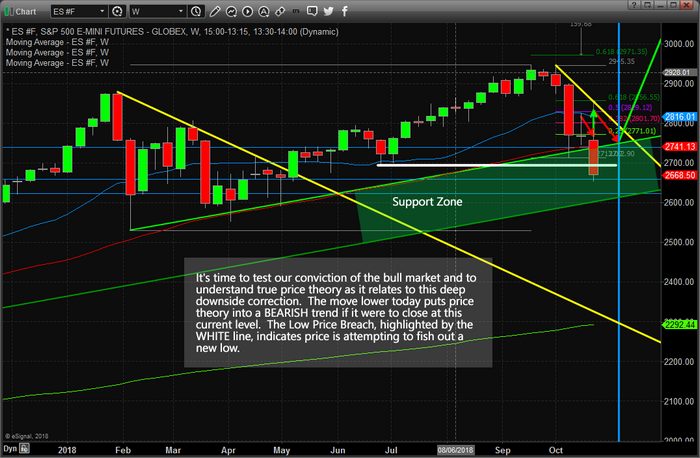 As long as price stays above that level, the overall bullish price trend is still in place.